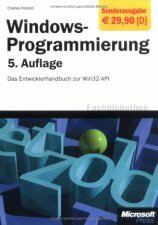 Hinweis: Dieser Quelltext ist Bestandteil des Projekts EGNP (EasyGameNetPlay), zu dem es auf FreeBASIC-Portal.de eine Projektseite gibt. Case EGNP_GURU_Unknown : Return "[ 0] UNKNOWN"
Case EGNP_GURU_NoError : Return "[ 1] E-NO "
Case EGNP_GURU_ParameterError : Return "[-1000] E-PARAM"
Case EGNP_GURU_IDnotFound : Return "[-1001] IDnotFo"
Case EGNP_GURU_NothingSelected : Return "[-1002] NotiSel"
Case EGNP_GURU_InternalError : Return "[-1900] E-INT "
Case EGNP_GURU_DATALenError : Return "[-1901] E-DATLE"
Case EGNP_GURU_Timeout : Return "[-1902] TIMEOUT"
Case EGNP_GURU_UnknownCMD : Return "[-1903] UnkoCMD"
Case EGNP_GURU_CantConnect : Return "[-1904] CantCon"
Case EGNP_GURU_ExternalError : Return "[-1905] E-EXT "
Case EGNP_GURU_CantOpenFile : Return "[-1906] CantOpe"
Case EGNP_GURU_TransmissionError : Return "[-1907] E-Trans"
Case EGNP_GURU_ParseLenError : Return "[-1908] E-PaLen"
Case EGNP_GURU_LoginDenied : Return "[-1910] Log-Den"
Case EGNP_GURU_NickDenied : Return "[-1911] Nic-Den"
Case EGNP_GURU_CommandDenied : Return "[-1912] CMD-Den"
Case EGNP_CMD_ServerUnavaible : Return "[ 1100] Unavaib"
Case EGNP_CMD_ServerOffline : Return "[ 1101] Offline"
Case EGNP_CMD_ServerFull : Return "[ 1102] Full "
Case EGNP_CMD_ServerConnectionDenied : Return "[ 1103] Con-Den"
Case EGNP_CMD_Ping : Return "[ 1190] PING "
Case EGNP_CMD_Pong : Return "[ 1191] PONG "
Case EGNP_CMD_Crypt1 : Return "[ 1200] Crypt-1"
Case EGNP_CMD_Crypt2 : Return "[ 1201] Crypt-2"
Case EGNP_CMD_Crypt3 : Return "[ 1202] Crypt-3"
Case EGNP_CMD_Ident : Return "[ 1203] Ident "
Case EGNP_CMD_ServerAlternative : Return "[ 1204] SerAlt "
Case EGNP_CMD_ServerList : Return "[ 1205] SerL "
Case EGNP_CMD_ServerListAdd : Return "[ 1206] SerLAdd"
Case EGNP_CMD_ServerListReady : Return "[ 1207] SerLRed"
Case EGNP_CMD_ServerListUpdate : Return "[ 1208] SerLUpd"
Case EGNP_CMD_AccCreate : Return "[ 1210] AccCrea"
Case EGNP_CMD_AccDestroy : Return "[ 1211] AccDest"
Case EGNP_CMD_AccLogin : Return "[ 1212] AccLogi"
Case EGNP_CMD_AccList : Return "[ 1213] AccList"
Case EGNP_CMD_AccSetFlags : Return "[ 1213] AccSFla"
Case EGNP_CMD_AccSetNick : Return "[ 1213] AccNick"
Case EGNP_CMD_AccSetPass : Return "[ 1213] AccPass"
Case EGNP_CMD_Ready : Return "[ 1300] Ready "
Case EGNP_CMD_UserLeave : Return "[ 1400] UsrLeav"
Case EGNP_CMD_UserKick : Return "[ 1401] UsrKick"
Case EGNP_CMD_UserJoin : Return "[ 1402] UsrJoin"
Case EGNP_CMD_UserMessage : Return "[ 1403] UsrMsg "
Case EGNP_CMD_UserData : Return "[ 1404] UsrData"
Case EGNP_CMD_UserMoveDbl : Return "[ 1405] UsrMDbl"
Case EGNP_CMD_UserMoveInt : Return "[ 1406] UsrMInt"
Case EGNP_CMD_ScoreList : Return "[ 1420] ScorLis"
Case EGNP_CMD_ScoreAdd : Return "[ 1421] ScorAdd"
Case Else : Return "[" & Space(5 - Len(Str(V_CMDCode))) & Str(V_CMDCode) & " "
Case EGNP_GURU_ParameterError : Return "Parametererror"
Case EGNP_GURU_IDnotFound : Return "ID not found"
Case EGNP_GURU_NothingSelected : Return "Nothing selected"
Case EGNP_GURU_InternalError : Return "Internal error"
Case EGNP_GURU_DATALenError : Return "DATALEN error"
Case EGNP_GURU_Timeout : Return "Timeout"
Case EGNP_GURU_UnknownCMD : Return "Unknown CMD"
Case EGNP_GURU_ParseLenError : Return "PARAMETERDATALEN error"
Case EGNP_CMD_ServerUnavaible : Return "Server unavaible"
Case EGNP_CMD_ServerOffline : Return "Server offline"
Case EGNP_CMD_ServerFull : Return "Server full"
Case EGNP_GURU_CantConnect : Return "Can't connect"
Case EGNP_GURU_ExternalError : Return "External error"
Case EGNP_GURU_CantOpenFile : Return "Can't open file"
Case EGNP_GURU_TransmissionError : Return "Transmission error"
Case EGNP_GURU_LoginDenied : Return "Login denied"
Case EGNP_GURU_NickDenied : Return "Nickname in use or not allowed to use"
Case EGNP_GURU_CommandDenied : Return "Command denied"
Case EGNP_GURU_UsernameDenied : Return "Username in use or not allowed to use"
Case EGNP_CMD_ServerConnectionDenied : Return "Connection denied"
Case EGNP_CSE_Unknown : Return "Unknown." Case EGNP_CSE_Disconnected : Return "Disconnected." Case EGNP_CSE_DisconnectedTimeout : Return "Disconnected. Timeout." Case EGNP_CSE_DisconnectedUnavaible : Return "Disconnected. Server unavaible." Case EGNP_CSE_DisconnectedFull : Return "Disconnected. Server full." Case EGNP_CSE_DisconnectedConnectionDenied : Return "Disconnected. Connection denied." Case EGNP_CSE_Connecting : Return "Connecting..."
Case EGNP_CSE_Connected : Return "Connected!" Case EGNP_CSE_Ready : Return "Ready!" Case EGNP_USE_Unknown : Return "Unknown." Case EGNP_USE_Leave : Return "Leave." Case EGNP_USE_Kicked : Return "Kicked." Case EGNP_USE_Join : Return "Join." Case EGNP_AAE_Unknown : Return "Unknown." Case EGNP_AAE_Login : Return "Login." Case EGNP_AAE_Create : Return "Create." Case EGNP_AAE_Destroy : Return "Destroy." Case EGNP_AAE_SetFlags : Return "SetFlags." ' Print #1, "OUT >" & EGNP_INT_GETCMDDESC(TCMD) & "<___>" & Len(V_Data) & "<"
'Else: Print #1, "OUT >[?????] <___>" & Len(V_Data) & "<"
'Print "IN >" & EGNP_INT_GETCMDDESC(TCMD) & "<___>" & TLen & "<___>" & Len(TData) & "<___>" & Len(.V_DataTCP) & "<"
'Print #1, "IN >" & EGNP_INT_GETCMDDESC(TCMD) & "<___>" & TLen & "<___>" & Len(TData) & "<"